WASHINGTON, DC -- The United States-Russia relationship is already in bad shape, and US diplomats are hurting it further by sending conflicting messages about Ukraine’s future relationship with NATO. NATO logo and map of the Atlantic and Europe, which includes Ukraine. First, NATO and Kiev signed a letter of intent in February for cooperation between their special operations forces. These muddled messages only cause confusion, provoking Russia while potentially giving false hope to Ukraine. For that reason, it’s time for Washington to make clear that Ukrainian accession to NATO is not on the table. First, NATO possesses almost no ability to defend Ukraine. Russia has 270,000 troops and 700 jet fighters positioned on Ukraine’s southern and western borders. And as Russia demonstrated in 2015 when it sent 150,000 troops to surround Ukraine, Moscow can quickly mobilise its military in the event of a conflict. Crimea, meanwhile, became a Russian fortress after its annexation. Moscow has fortified the peninsula with 25,000 troops, numerous ships and subs, as well as its lethal S400 air-to-ground missiles – a weapon which could shoot down multiple NATO jets up to 250 miles away. Moreover, as Russia’s recent Syrian campaign demonstrated, its military now possesses the same type of advanced precision targeting cruise missiles used by the United States, providing yet another weapon Moscow could deploy against NATO if a war around Ukraine and the Black Sea broke out. Finally – and perhaps most troublingly – Russia even claims the right to deploy nuclear weapons to Crimea. Would the United States be willing to back up a commitment to defend Ukraine by deploying tens of thousands of additional troops to Europe – essentially recreating a Cold War force posture on the continent? How should Washington respond if – as is entirely possible – Moscow instigated further military action in Ukraine after Ukraine received an official invitation to join NATO, but before a formal agreement admitting Kiev to the club was signed? Is the United States willing to strike command and control or military targets inside Russia proper if militarily required? How would it respond, then, if Moscow retaliates by launching missiles at Alaska or Europe, or by invading the Baltics? And finally, is the United States willing to risk a nuclear exchange to defend Ukraine? Recent war games revealed NATO would lose a war in the Baltics to Russia within 36 to 60 hours, and it’s hard to envision anything other than a similar outcome in Ukraine. In addition, Washington confronts not only significant military obstacles in defending Ukraine, but also faces a significant gap between the Russian and American stakes in the country. As Putin’s invasion of Crimea and subsequent escalation in eastern Ukraine showed, Kiev’s geopolitical orientation is a supremely important national interest for Russia. By contrast, US President Barack Obama’s unwillingness to supply Ukraine with lethal arms, much less deploy combat troops to Ukraine, indicates Washington’s interests are peripheral at best. To understand why this is the case, those who want Ukraine to join NATO should go back and read Russian President Vladimir Putin’s 18 March 2014 speech announcing the annexation of Crimea. Arguing that Russia was forced to annex Crimea to forestall the possibility of Ukraine joining NATO, Putin asserted that the West "had lied to us many times." 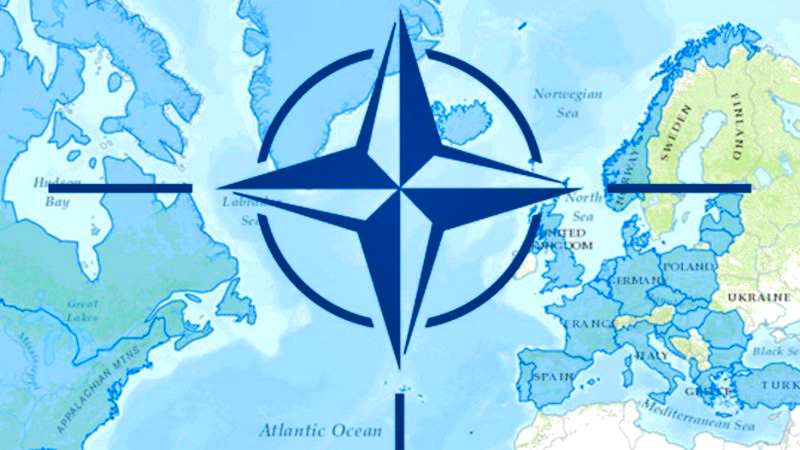 NATO remains a military alliance. "I do not want to be welcomed in Sevastopol by NATO sailors." Putin’s words are not mere rhetoric. The West long underestimated the deep humiliation felt by Moscow as a result of NATO expansion toward Russia’s borders in the decades after the fall of the former Soviet Union, and even the United States Navy’s top commander in Europe admits Russia views NATO as an “existential threat” today. To make a historical analogy, Russia views NATO membership for Ukraine similarly to how US President John F. Kennedy viewed the deployment of Soviet missiles to Cuba in 1962. Given that NATO was – and remains – a military alliance directed against Russia, dismissing Moscow’s feelings on this subject as merely “paranoia” is too simplistic. Proponents of Ukraine’s NATO membership argue Russia must not receive a veto over Ukraine’s geopolitical orientation. Morally this is correct – especially considering the fact that Putin’s annexation of Crimea was a clear violation of international law. Moreover, Ukraine’s decision to officially identify Russia as an enemy is the right one, and it’s easy to see why Kiev would want American assistance in its ongoing struggle with Moscow. Will this commitment increase or decrease the United States’ national security? Absent Washington’s willingness to play a game of nuclear chicken with Moscow, Ukraine’s accession to NATO weakens American national security rather than enhancing it. To be clear, none of this means the United States should provide Russia a complete veto over Ukraine’s future, and Ukraine must remain free to develop any economic relationship with the West it wishes. Kiev already signed an Association Agreement with the European Union, signifying a long-term commitment to Ukraine’s economic integration with Europe, and Washington should push the Europeans to place full EU membership for Kiev on a fast track. Furthermore, the West should continue its ongoing non-military support for Ukraine. Politically, Western sanctions on Moscow should remain in place until Russia honors the Minsk II agreement by withdrawing its troops from the Donbass region and ending military support for the separatists. While Crimea almost certainly remains lost to Ukraine, the West must not recognise the peninsula is part of Russia absent a mutually satisfactory solution on Crimea directly between Moscow and Kiev. The United States employed the same policy during the Cold War towards the Soviet Union’s annexation of the Baltic states, meaning precedent for this approach exists. The West should also continue to support Ukraine financially, especially its brave civil activists determined to break the grip of Kiev’s predatory officials. In addition, while President Barack Obama rightly resists sending billions of dollars of lethal arms to Ukraine, Washington should continue shipping non-lethal aid. Finally, the United States and its European allies should significantly increase humanitarian aid to Ukraine as Kiev struggles to feed and care for the millions of internal refugees victimised by the war in the Donbass. Trying to solve this problem for Kiev by inviting it to join NATO is not in American national interests. But while the United States should rule out NATO membership for Kiev, it need not abandon Ukraine to its fate. 1.NATO and the U.S. are providing Kyiv with 'muddled" messages about its prospects for membership in NATO. There is nothing muddled about NATO’s commitment to have Georgia and Ukraine join NATO. Its 2008 Bucharest Summit Declaration stated: “NATO welcomes Ukraine’s and Georgia’s Euro-Atlantic aspirations for membership in NATO. We agreed today that these countries will become members of NATO.” Both NATO and Ukraine are following up on that pledge, though all parties recognize that this may not be for another 4-5 years in the future. 2.NATO possesses almost no ability to defend Ukraine because of Russian military power in the immediate vicinity. Much the same argument can be made for any of the NATO members closest to the CIS border. NATO has no force of its own. It relies on those made available by its members. There is no assurance that NATO could defend any of its members....most of whom are less prepared to face Russia than Ukraine is. Rather than a liability, Ukraine is an asset - a very large and reliable asset - in bolstering the other members against aggression. As many as 20 of NATO’s 28 members are militarily weaker than Ukraine and all are equally vulnerable to the military forces the Russians have in the region. 3.Would the U.S. be willing, etc. to risk going to war over Ukraine? Would it be willing to go to war over Estonia? Thus far it appears ready to do so . It can always back out; and the “presumptive” Republican nominee for U.S. President has even suggested that NATO itself may no longer be supported by the U.S. If that were to happen, Ukraine’s accession to NATO would be even more urgent. The US and NATO would be far more likely to prevent war if Ukraine’s 1/4 million combat ready force, and substantial military complex were added to NATO as a deterrence. Just think if all that were to fall into Russia’s hands or if Ukraine entered an alliance with Russia. 4.Ukraine has a special strategic importance for Russia and it views Ukrainian membership in NATO as an unacceptable threat. I agree with the author’s earlier contention that “NATO possesses almost no ability to defend Ukraine” (and, therefore, no ability to attack Russia). Russia knows this. Russia knows that NATO is a purely defensive institution, which must rely on 28 second-guessing members for whatever capability it has, and no assurance that any of its states will be ready or willing to fight. Even such mainstays as Germany has acknowledged that it may take up to a year to mobilize. Despite Russia’s decades-long ploy to use NATO to keep its population cowed, and to convince the West that its military build-up is a counter force to NATO, Russians make decisions based on cold, hard facts and not by believing their own disinformation. For Russia, NATO membership simply means that states such as Ukraine will have escaped Russia’s ability to intimidate. Russia knows that NATO is not “a military alliance directed against Russia”.....but a military alliance to defend itself from Russia. 5.The U.S. should not provide Russia a “complete” veto over Ukraine’s future. There is no such thing as giving a country a partial veto over another country’s future. The U.S., most certainly, has no such moral or legal authority. Ukraine alone must determine its future, and the U.S. should do all it can to make that possible. 6.Washington should continue shipping non-lethal aid. Why non-lethal? Aid - lethal or otherwise - is only of value if Ukraine can protect itself and its people, and that requires more than baseball bats and food rations. Where does this obsession - this mantra - with “non-lethal” aid come from? Will Russia attack the U.S. if it finds stiffer resistance to its invasion in Ukraine? Both the author and the White House are standing contrary to the whole course of human experience. I agree with all the points made by George Woloshyn.